From the wild and rugged beauty of the Tasmanian Wilderness, to the unparalleled brilliance of the Great Barrier Reef, this adventure delivers you right to the doorstep of Australia’s most pristine locations. Be captivated as you explore the three World-Heritage-Listed wonderlands of Tasmania’s sub-alpine wilderness, Tropical North Queensland’s Daintree Rainforest, and the Great Barrier Reef, returning after each day’s activities to your luxurious accommodation. 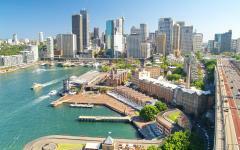 To top it all off, jet into sparkling Sydney, and explore the harbor, the hidden bays, and the unique antipodean style of this magical city. Entice your partner, grab your best friend or gather your family together, as you embark upon this outstanding Australian adventure that hits all the right spots. For 11 awe-inspiring days you will independently traverse this amazing continent, witnessing World Heritage beauty at its most spectacular, from the wild wilderness of Tasmania, to the balmy reaches of Tropical North Queensland and the Great Barrier Reef. 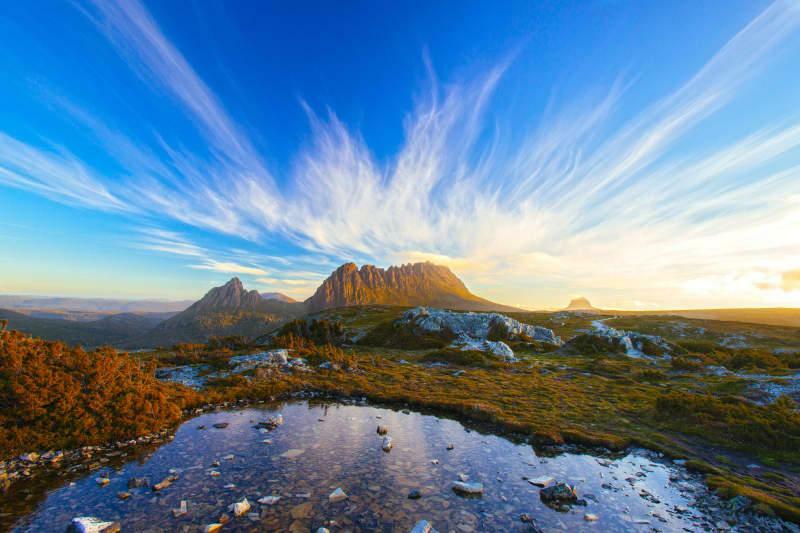 Beginning in the wild and rugged island state of Tasmania, almost half of which is designated World Heritage Wilderness, you will explore the sparkling glacial lakes of sub-alpine Cradle Mountain and Lake St. Clair National Park. You will encounter remarkable wildlife, and have the opportunity to climb the towering peaks of Bishop and Clerk on Maria Island or cruise through Mason Cove en route to Port Arthur, tracing the remarkable footsteps of the convicts who from the early 1800s, somehow survived in this wild penal settlement, then known as ‘Van Diemen’s Land’. 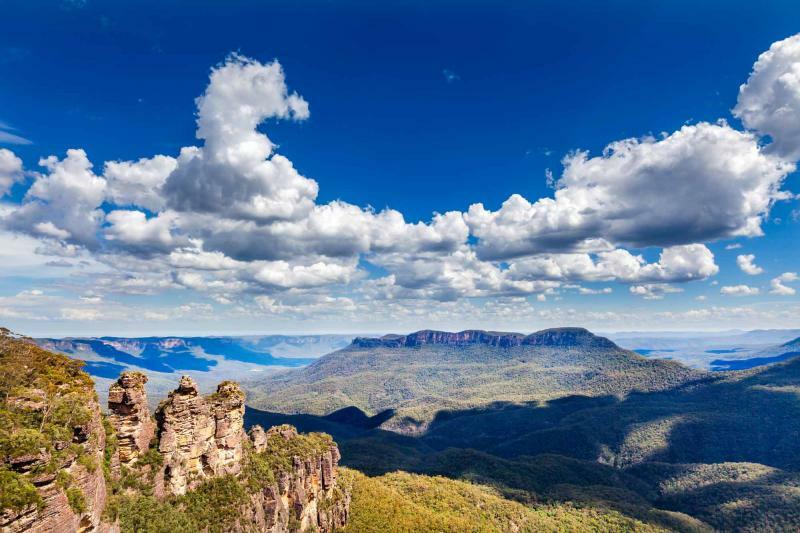 Step out of the wilderness for your visit to glamorous, sparkling Sydney, where you will breathe in the fresh, salt air on a luxury yacht cruise around Sydney Harbour, and experience a thrilling day in the spectacular Blue Mountains National Park. 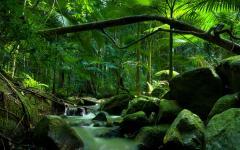 Stepping back into the wilderness – luxury style – you will travel to Tropical North Queensland, home to the 135 million year old Daintree Rainforest, complete with primitive flowering plants, prehistoric six foot birds, and ancient foliage that creeps all the way down to the white sand beaches and the reef beyond. 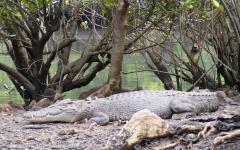 In this otherwise silent landscape, the bird calls will form the soundtrack to your journey as you cruise past giant crocodiles basking on the riverbank. 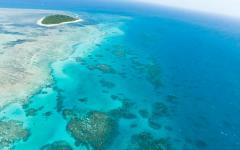 End your amazing Australian adventure sailing in the turquoise waters of the unparalleled Great Barrier Reef, and snorkeling amongst the vibrant coral cays. Without a doubt, this is the Australia tour you’ll want to write home about. 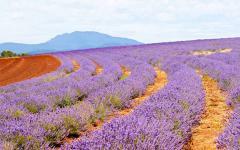 If you’re not convinced, visit the Australia travel reviews section and see what others have experienced. Today you will depart Sydney on your flight to picturesque Launceston, in the north of the spectacular island state of Tasmania. On arrival, you will pick up your late model automatic rental vehicle and begin your leisurely drive south-west through the charming rural towns of Hagley and Westbury, to the World-Heritage-Listed Cradle Mountain – Lake St. Clair National Park. 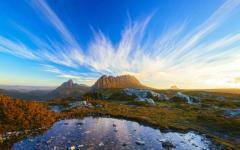 Spend two luxurious nights at the Peppers Cradle Mountain Lodge, spectacularly located in the sub-alpine wilderness where you can explore the breathtaking surroundings, and be pampered in the outstanding Waldheim Alpine Spa. After experiencing the Lodge’s warm hospitality and the best of Tasmania’s food and wine, why not join a night spotlight tour as you search for local wildlife including wallabies and wombats. Wake up in this pristine mountain location, and prepare for an awe-inspiring day exploring this World-Heritage-Listed National Park. Consider one of the many walking tracks on offer, or even enjoy horse riding amongst the hidden canyons. Two of the best walks are the ‘Dove Lake Circuit Track’ and ‘Crater Lake’. The ‘Dove Lake Circuit Track’ is one of Tasmania’s premier walks, an easy six kilometer track taking you right around Dove Lake and beneath the towering spires of Cradle Mountain. ‘Crater Lake’ is a moderate eight kilometer walk which takes you through the magical sassafras forest, past Crater Falls, and to the hidden glacial lake surrounded by 200 meter cliffs. Following a sumptuous dinner of locally-sourced products, consider visiting the Tasmanian Devil Wildlife Sanctuary, located only one kilometer from the lodge, to see these fiery and fascinating nocturnal creatures at play. After breakfast you will bid farewell to the mountains, and commence your drive towards Hobart (four hours driving time). 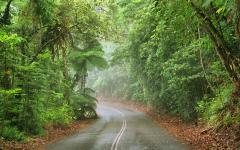 Heading south-east, your drive along part of Tasmania’s Heritage Highway is a delightful one. Consider stopping at one of the many historic towns en route, including the UNESCO Heritage-Listed Longford, a historic country town full of grand estates, convict-built buildings and colonial charm. Upon entering Hobart, make your way towards the city’s waterfront and your accommodation at the historic Old Woolstore Apartment Hotel, a stylish and atmospheric abode located a short walk away from lively Salamanca and the Botanic Gardens. 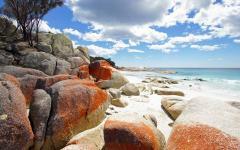 Today is at your leisure to explore Hobart and its surrounds. 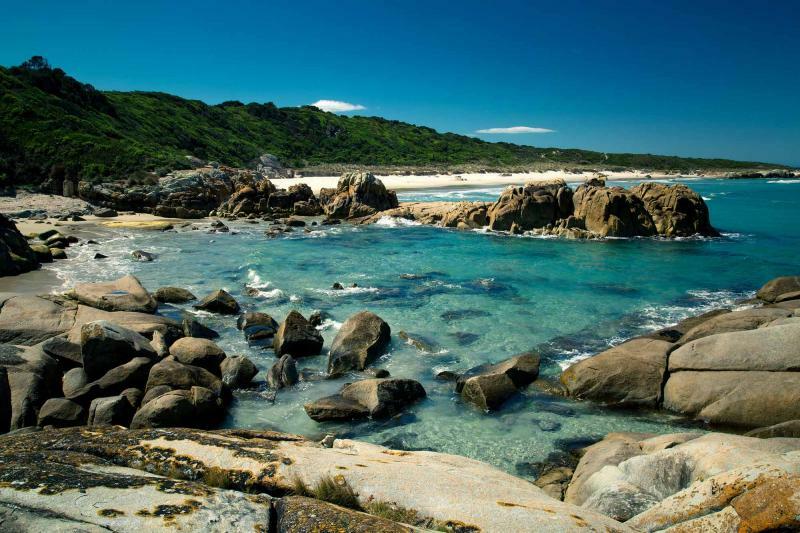 Consider a day trip to beautiful Maria Island, a natural wildlife sanctuary complete with historic convict ruins, magnificent bays and giant cliffs that rise out of the Tasman Sea. 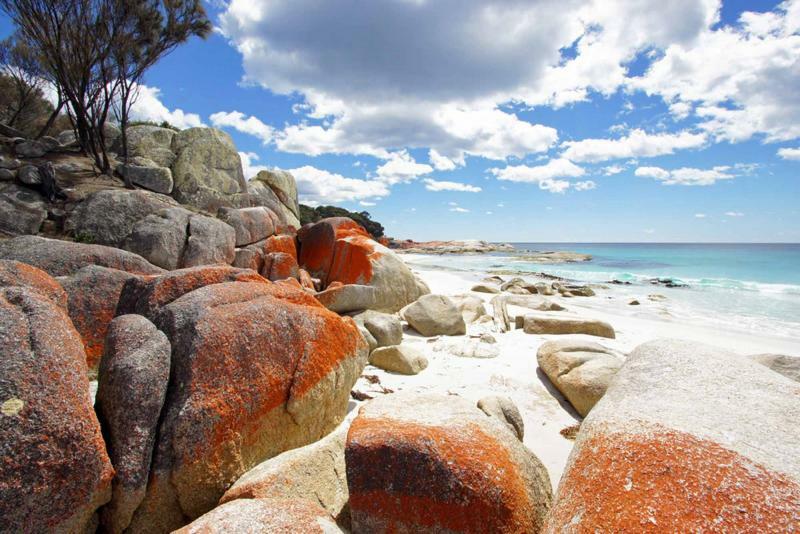 The island offers a range of walks, including a climb up the towering peaks of Bishop and Clark, which will be rewarded with awe-inspiring views over the Freycinet Peninsula. For history lovers, experience an unforgettable day visiting the Port Arthur Historic Site, Australia’s most famous penal settlement. The vast and superbly preserved sandstone prison, which is perched hauntingly on beautiful Mason Cove, tells the story of the 70,000 men, women and children who were transported to ‘Van Diemens’ land in the early 1800s. 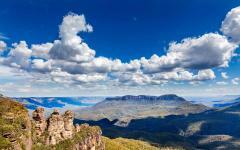 Today you will bid farewell to Tasmania, and jet into the stunning city of Sydney. You will be met by your driver and transported by private transfer to the well-appointed Adina Apartment Hotel Sydney. 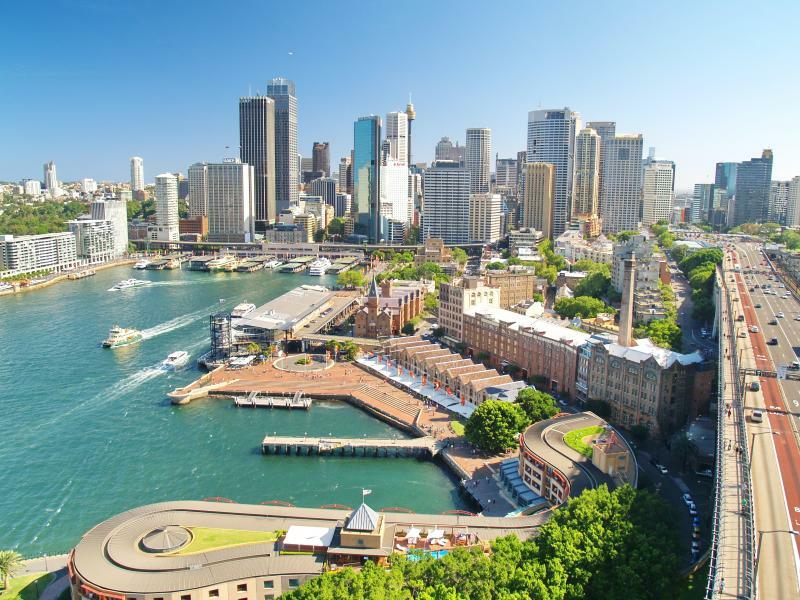 Superbly located in the Central Business District, you are a five minute walk from the aquarium and museums of Darling Harbour, a 20 minute walk from the iconic sights of Sydney Harbour, and smack-bang in the center of Sydney’s best shopping precinct. You are at your leisure in the afternoon to explore this world-famous city. 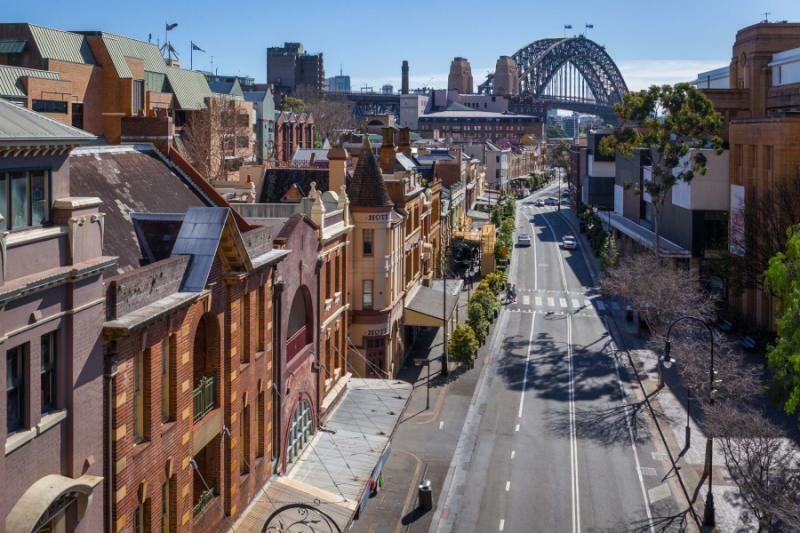 Consider walking down to Sydney Harbour and getting lost in the past as you wander around ‘The Rocks’, the location of Sydney’s first European settlement. 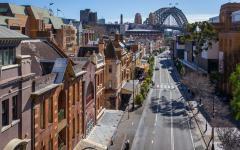 Established in 1788, the predominantly sandstone buildings in The Rocks are perched in the center of sparkling Sydney Harbour, and are flanked by the Sydney Harbour Bridge to the west and the Sydney Opera House to the east. 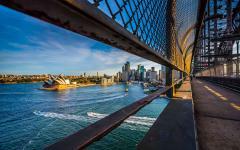 You could walk across the Sydney Harbour Bridge along the dedicated walking path and climb the Pylon Lookout for wonderful views of the harbor, or book in advance for the unforgettable ‘Bridge Climb’ where you latch onto the exposed spine and climb to the very summit of the Sydney Harbour Bridge. Alternatively, explore the Sydney Opera House forecourt, enjoy al fresco dining by the harbor, and finish with a stroll through the adjacent harborside Royal Botanic Gardens. 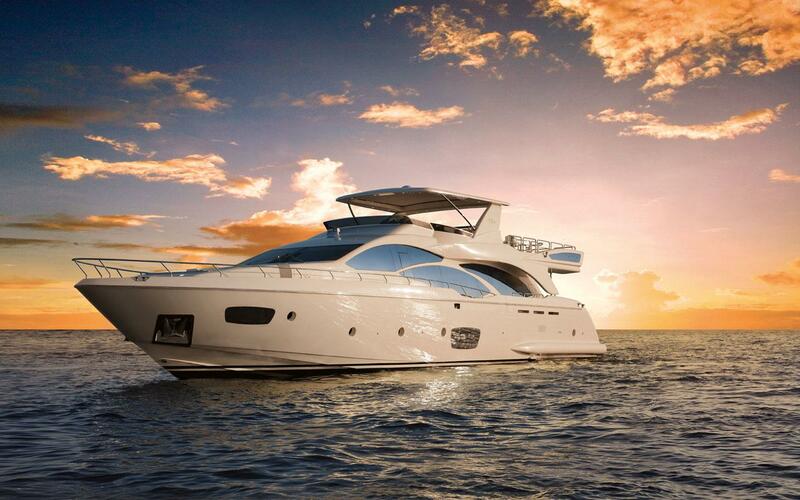 After breakfast, you will be met by your guide and transported to your luxury cruising yacht for today’s adventure. Sydney is a magnificent city, but Sydney Harbour is the city’s real showstopper; a dazzling centerpiece that winds its way through the city, flanked by harbor beaches, national parks and the glamorous private homes of Darling Point, Mosman and Point Piper. 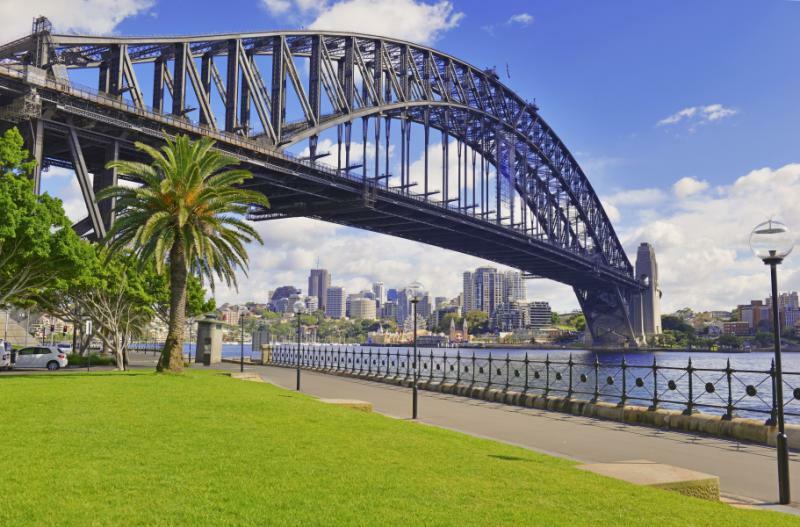 You’ll be treated to first class views of the Sydney Harbour Bridge and Opera House, as well as passing the sandstone convict garrison island of Fort Denison, as you make your way up to the mouth of the harbor beyond which lies the Pacific Ocean. Drop anchor in one of Sydney’s many peaceful bays, and thoroughly enjoy your fresh and delicious lunch featuring gourmet seafood and Australia’s best wine and beer. Relax and admire your surroundings as your yacht takes yet another scenic route back to Darling Harbour, and you disembark at 3pm with that delicious saltwater feeling that is only acquired by a day spent on this magical harbor. 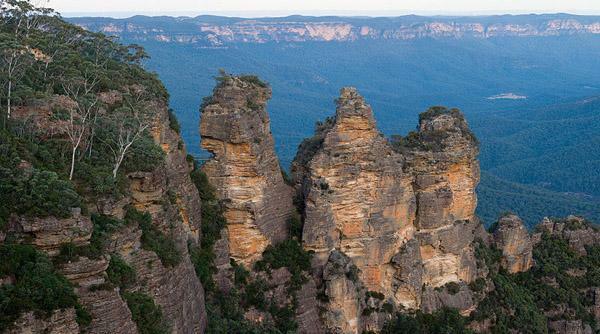 After breakfast today, your knowledgeable guide will pick you up from your hotel for the commencement of a small group eco-tour of the Blue Mountains, named after the blue haze that emanates from the fine mist of eucalyptus oil rising from the vast eucalypt bush. You will leave Sydney and the east coast, and head directly west towards the Great Dividing Range which for so long lay as a bulwark to the hidden, fertile farmlands beyond. It took a long line of hardy explorers and convicts to painstakingly plot a path across these rugged mountains, and after they did, the mountains became summer retreats for the Sydney gentry, whose 19th and early 20th Century dwellings now make up the charming and elegant hotels and streetscapes on offer to visitors. 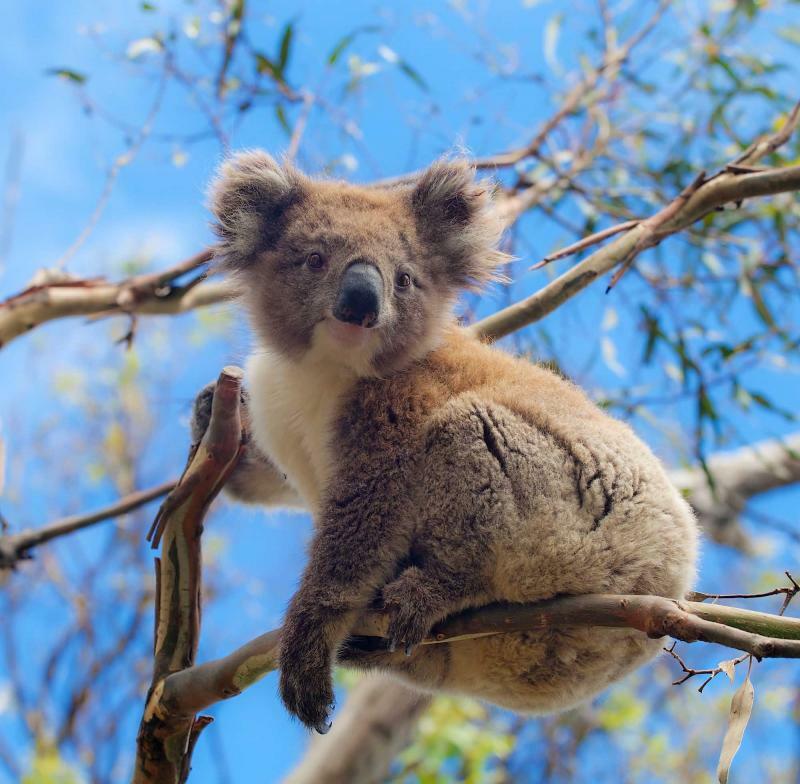 Your first stop en route to the Blue Mountains will be Featherdale Wildlife Park. 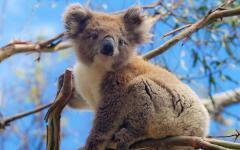 Even the toughest heart will melt as you snuggle with a koala and feed kangaroos, wallabies and emus. 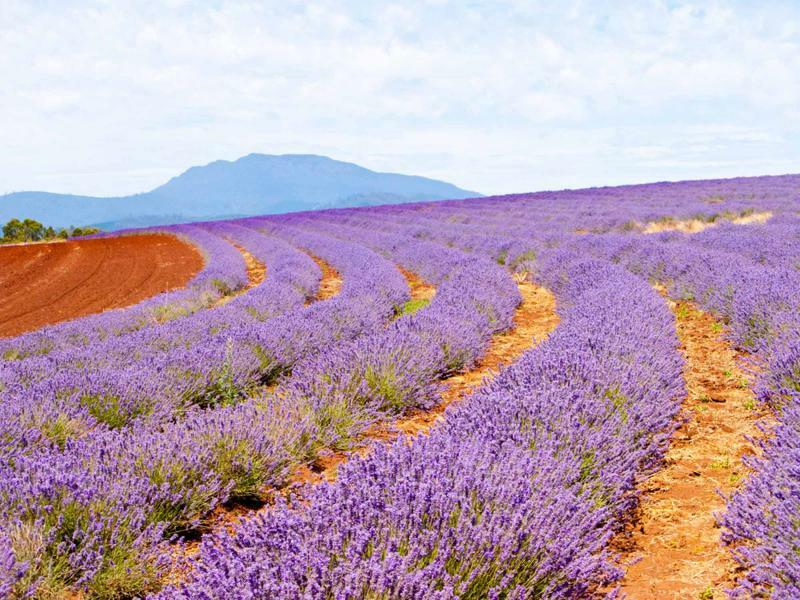 You will continue heading up through the northern section of the Blue Mountains National Park, and make a brief stop in the charming apple growing town of Bilpin where you will enjoy delicious apple pie with morning tea. As you journey through the mountains there will be ample opportunity for walking and exploring as you view the spectacular waterfalls at Govetts Leap and the magnificent Three Sisters. Stop for a fascinating glimpse into Aboriginal culture as you experience a corroboree at the Waradah Aboriginal Center, and hold onto your hat as you ride on the world’s steepest incline railway as it transports you down through a cliff side tunnel to the ancient rainforest on the Jamison Valley floor. 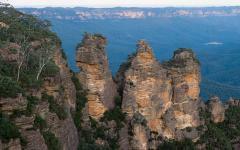 There you can experience a beautiful bushwalk, and return to the mountain top by cable car. At the end of this enthralling day, your guide will return you to your accommodation for your last night in Sydney. Day 8 – Final adventures in Sydney, and G’Day to Tropical North Queensland! 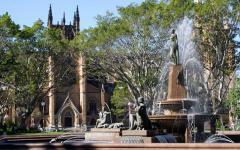 Today you have the morning at leisure in Sydney, before your afternoon flight to Cairns in Tropical North Queensland. Why not take a dip at a Sydney establishment, Bondi Beach, and then walk along Sydney’s most famous clifftop walking track to Bronte Beach, where you can stop at fashionable eateries along the way (one hour walk). Or indulge in some retail therapy at the Queen Victoria Building, a magnificent sandstone edifice just a few minutes’ walk from your hotel. 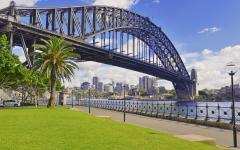 Your private driver will pick you up at your hotel, and transfer you to Sydney Airport for your onward journey. 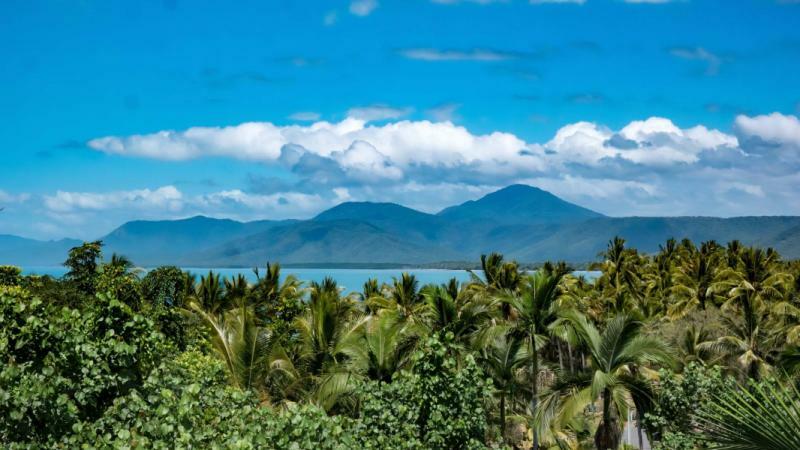 On arrival in Cairns, you will pick up your late model automatic rental vehicle and take one of Australia’s most scenic drives to your hotel in Port Douglas, a one hour journey north. There you will arrive at the Pullman Port Douglas Sea Temple Resort and Spa on secluded Four Mile Beach, which will be your home for the next three luxurious nights. 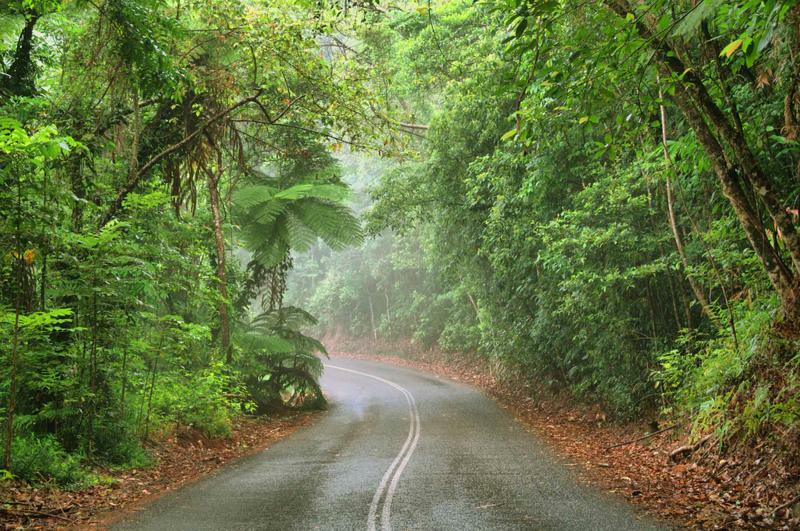 After breakfast, you will be picked up by your expert guide for your small group eco-tour of the World Heritage Listed Daintree National Park, the world’s oldest living rainforest. 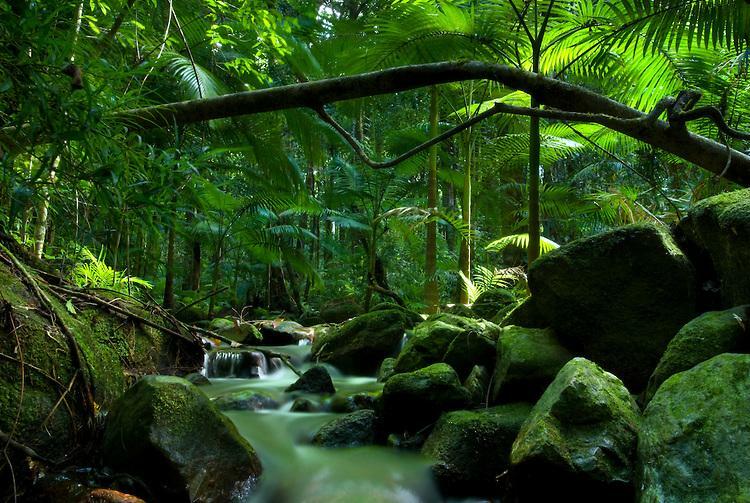 An unparalleled rainforest which creeps all the way down to the white sand beaches and the reef beyond, this ancient wilderness is packed full with a staggering quantity of plants and animals found nowhere else on earth. Step aboard your personal craft for a cruise along the Daintree River, gliding under the magnificent canopy that is home to a myriad of unique bird species. Transferring to your 4WD vehicle, you will continue up the Alexandra Range to the Jindalba Boardwalk for a guided walk deep into this Wet Tropics Rainforest, where you will discover primitive flowering plants, and look out for the mighty cassowary, a six-foot tall prehistoric bird, long-nosed bandicoots, or incredibly, kangaroos that live in trees! Stopping at magical Cape Tribulation, it’s likely that you will be one of the only people exploring this remote wilderness beach. Savor a tropical rainforest-inspired lunch under the dappled rainforest canopy, and finish with a refreshing splash in one of the many crystal-clear rainforest creeks. 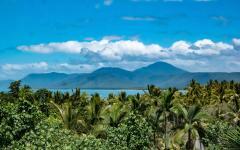 Our last stop for the day will be at the Alexandra Range Lookout, from which you will have a magnificent view over the Daintree River, Snapper Island, and Port Douglas in the distance. 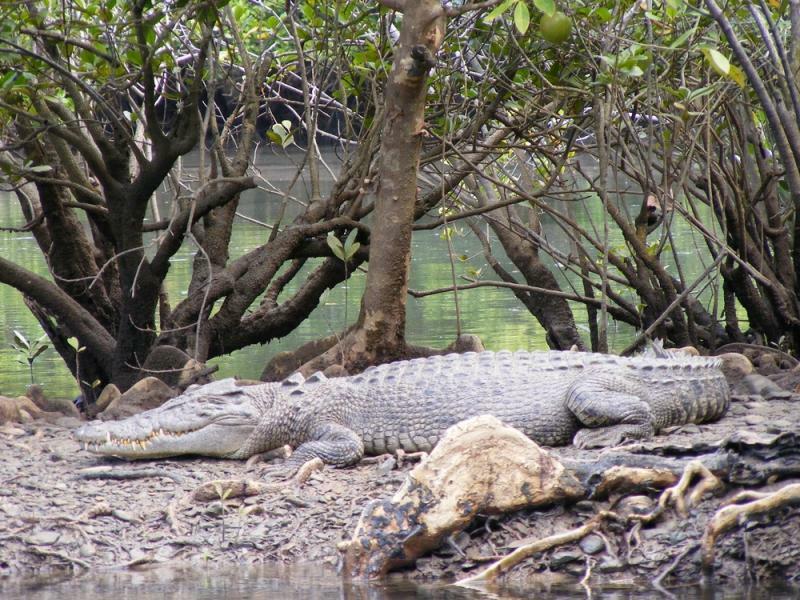 Your final pleasure for the day will be stepping aboard the Daintree River Ferry, the quintessential vehicle punt which transfers you out of this ancient wonderland and back onto the road for your return journey to Port Douglas, arriving early evening. 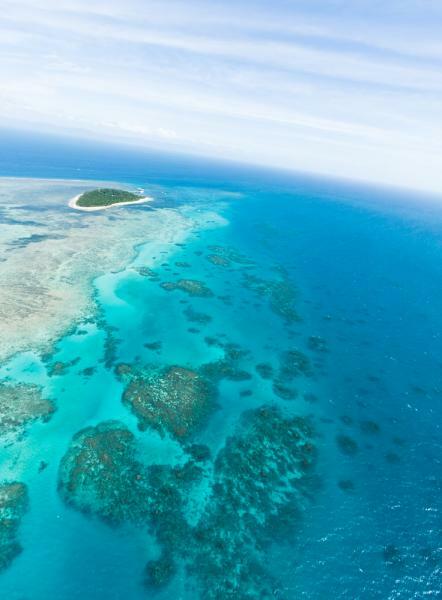 Don’t forget to pack your sunglasses today, as you board your 62-foot luxury yacht, Synergy, and skim along the turquoise waters to the outer coral cays of the World-Heritage-Listed Great Barrier Reef. The planets’ largest and most impressive coral reef system, this living organism is made up of over 2,900 individual reefs, and dotted with over 900 tropical islands. With only 12 other guests on board with whom to share the space, you can stretch out and find your own sunny spot, or try your hand at sailing. A highlight of your day will be plunging into the crystal clear waters with your snorkel and flippers, as you explore the richly colored coral reef and the startling array of inquisitive fish. Your freshly cooked gourmet lunch will hit the spot, as you relax on the split-level rear deck overlooking the glimmering reef, on the lookout for giant green turtles and playful dolphins. Day 11 – Cairns to Sydney, and Homeward Bound! 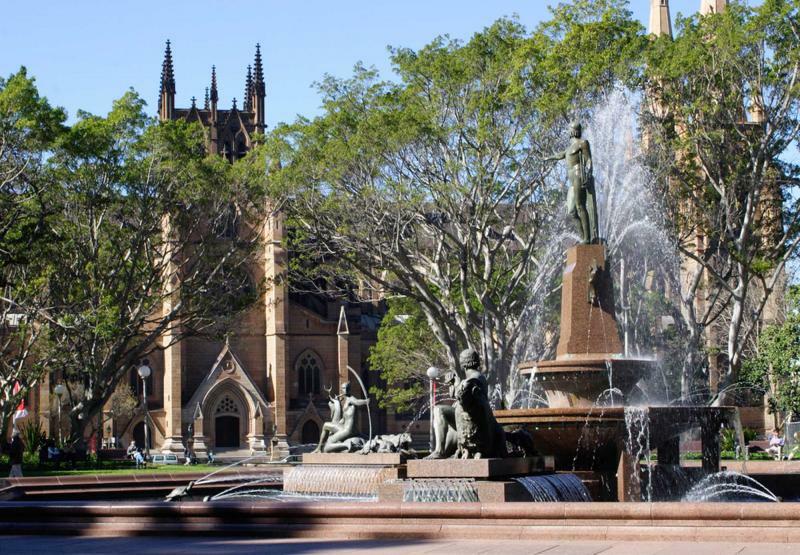 Today you will gather together your memories, as you are transported by private driver to Cairns Airport for your flight to Sydney, and thence your connecting flight home. 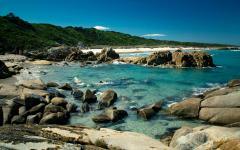 "Zicasso Travel did and outstanding job in planning our two week stay in Australia." "We used this travel agency for our honeymoon in SE Asia and the trip was beyond our expectations."